We are excited about the upcoming reunion—less than 1 month away! We have approximately 34 scheduled to attend. By email, you should have received a file with attendees, their contact information, as well as who has cars (for carpooling). Staying in a Duncan home? Please check the file to see who you will be staying with. Still need a room? Please let Bonnie know asap by clicking here. Prefer a hotel? We recommend the Holiday Inn O’Hare, which is very close. Click here. We are looking forward to seeing you! Please let me know if you have any questions or comments or if there is anything I can help you with ahead of your trip! See you Friday night at 7pm (at Joy’s)! Nearest Airport: O’Hare (ORD) is 10 minutes from Duncan HQ. Other Airport: Midway (MDW) is 40 minutes away. Duncan Contacts: Click here for Barb Duncan. Click here for Bonnie Tinder. Facebook Reunion Site: Click here to post pictures, watch the weekend, comment and connect. This entry was posted in Betty, Bob, Kathryn, Lee, Paul, Steve, Tad, Wally and tagged 2016, Barbara Duncan, Bonnie Tinder, Chicago, reunion on May 9, 2016 by Dawn Duncan Harrell. 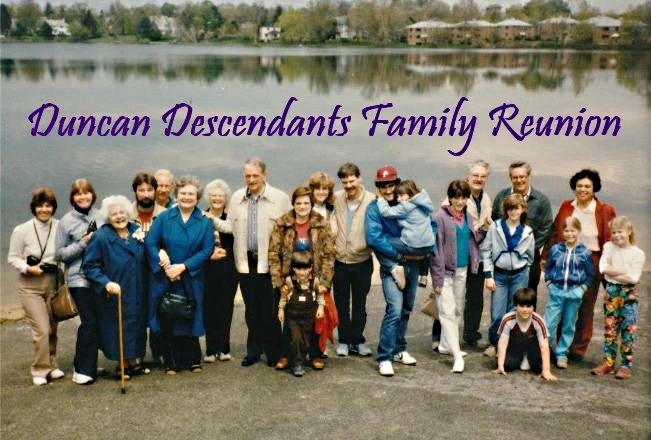 We are thrilled to be hosting the 2016 Duncan Descendants Family Reunion in Chicago! We’re looking forward to a time of connection and the opportunity to show you around our beautiful city. To gather RSVPs, disseminate logistical information and schedule updates, we have created a website. Please RSVP by January 15, 2016 to Duncan2016.myevent.com. Duncan HQ: Barb Duncan’s home. You can find the address at Duncan2016.myevent.com . Airports: O’Hare (ORD) is 10 minutes from Duncan HQ. Midway (MDW) is 40 minutes away. RSVP by January 15, 2016 to Duncan2016.myevent.com. And after you’ve done that, forward this link to others in the family who may not have heard! This entry was posted in Betty, Bob, Kathryn, Lee, Paul, Steve, Tad, Wally and tagged 2016, Barbara Duncan, Barbie Duncan, Bonnie Tinder, Chicago, family reunion, Joy Duncan Farina, Taylor Duncan on December 1, 2015 by Dawn Duncan Harrell. 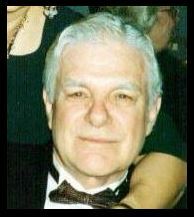 My dad was an encouragement throughout my life. My first memory of that was as a six-year-old, as he cheered me on and celebrated the blue ribbon I won. Even though I was up against two kids who could hardly swim across the pool, you’d have thought I won the Olympic gold. And there were flute competitions and band concerts, and dance recitals and parades that I was in. Later on, it was jobs that I had, and presentations that I had done. Every time, my dad was there to cheer me on; he made me proud of what I did, no matter how insignificant. For the last three years, my dad was in a wheelchair. During that time, I had taken up running. When I stated I could only run a few blocks. One summer, we ‘trained’ together for the half-marathon—Dad on his Rascal scooter following me around Park Ridge neighborhoods. He always made me want to get better and stronger and to use my God-given abilities to serve others and enjoy life to the fullest. Of course, he was there on race day to cheer me across the finish line, but the daily encouragement was what he gave most. My dad knew how to make anyone in a room feel important and special. He loved to go to Ace Hardware, and I took him there not too long ago. As soon as he rode his Rascal through the front door the cashier said, “Hi, Wally!” Then he introduced me to Maria and proceeded to tell me about her and her family. He told me, loud enough for her to hear, “if you want to know where anything is in this store, Maria knows where it is. She is the best.” Whether it was one of his nurses, or a clerk in a store, the janitor, or an administrative staff person, my dad would make them feel important and special. He would make them want to use their abilities to the fullest. Because he truly believed they were special, and a child of God. In heaven, “the last shall be first.” My dad never did anything to put himself “first.” I know right now, my dad is in the VIP section. On October 22d, I ran my first marathon. Because of his illness, he wasn’t able to be there, but he was still “watching” from his bed (on TV). I stopped by the day before the marathon, and he told me “I’m proud of you.” To him, I didn’t even need to finish, and he would have been proud of the effort. Even though physically he had everything going wrong, he would selflessly encourage me and others in their pursuits. I put my marathon medal around my dad’s neck as he died Tuesday. He deserves it much more than me. He ran the race of life better than anyone I’ve ever known. He has impacted the lives of those around him immeasurably and I will miss him more than words can say. I can only hope that my son Wally is half of the man my dad was. It was a privilege and an honor to have him in our lives. Were you there at Bonnie’s race? Can you add details? Do you have stories of Wally and the Rascal that you can share? I seem to remember something about the Rascal running out of juice and getting stuck. Can you tell that story? What endeavors did Wally encourage you in? The photo is a snip from one Marcia Duncan took, I think at Joy’s wedding. Can someone confirm the location and date? Thanks. This entry was posted in Wally and tagged Ace Hardware, Bonnie Tinder, marathon, Park Ridge, Rascal on October 16, 2013 by Dawn Duncan Harrell.